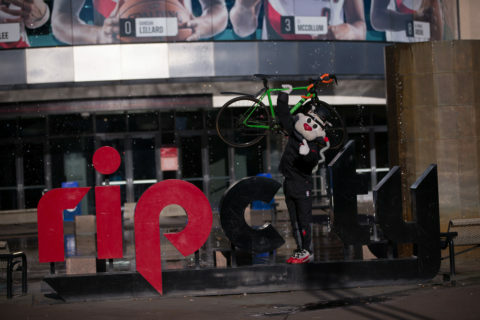 Home » Blog » Join Us for Blazers Bike Night! Join Us for Blazers Bike Night! UPDATE: Ticket sales have been extended through October 6th, thanks to our friends at the Trail Blazers! The Trail Blazers and the Community Cycling Center are pairing up for a fun night of basketball at this year’s #BlazersBikeNight on October 28th. Please make the night complete by joining us as they take on the Phoenix Suns. Hurry, because ticket sales end October 6th! For this one event only, 200-level tickets are on sale for $58, and 300-level tickets are on sale for $28. Every ticket purchased through this link helps support the Cycling Center’s programs. All Blazers Bike Night ticketholders will be invited to a pre-game reception in the Rose Room, replete with food, drinks, raffle prizes, and good company. You will also receive a reflective Rip City sticker. There are so many things to love about this deal! Thank you, and we are looking forward to cheering with you October 28th!